Custom 3x3 round corners school contact magnets – 20 MIL can make your school contact information stick before teachers, students, parents and prospects with its perfect shape. The rounded corners gives it a better sticking edge than squared ones , thereby lending long term visibility to your business messages. 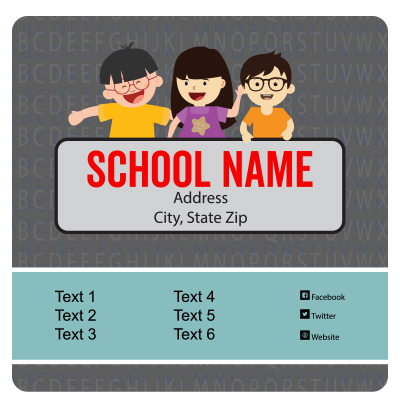 Elementary schools, primary schools, grammar schools, study groups and many other educational marketers can use these magnets for value building. Free ground shipping offered within contiguous USA. Request a quote to know more on value savings that you can expect on bulk ordering these customized 3x3 round corners school contact magnets- 20 MIL.